For three days, the exhibition will provide an exceptional opportunity to have a closer look at a wide range of high-quality products and gain knowledge about development in this industry. Participants from Azerbaijan, China, Germany, Indonesia, Kazakhstan, the Kingdom of Bahrain, Russia and Ukraine will present their creations in promotional products, gifts, gift boxes, leather products, including but not limited to folders, boxes, bags, wallets, and all kinds of souvenirs and textile goods such as T-shirts, caps, jackets, scarves, flags and much more. All detailed information and an invitation ticket for the exhibition are available on the official website: www.giftfair.az. 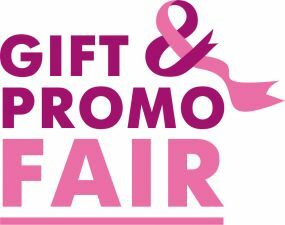 To sum it up, presentations of well-known brands and new trademarks, an abundance of marketing information, business connections with partners and, finally, a festive atmosphere - all this will be waiting for you at the Gift&Promo Fair 2018! The 1st Azerbaijan International Advertising and Printing Exhibition AdPrint exhibition will be organised in parallel with the Gift&Promo Fair 2018.